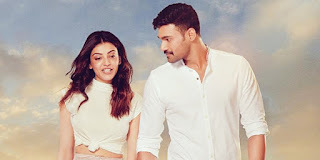 The release date of ‘Kavacham’ starring Bellamkonda Sai Sreenivas and Kajal Aggarwal in the lead roles is confirmed on December 7th. Teaser of the film was recently unveiled and got a superb response with nine million digital views. This is a thriller being directed by newcomer Sreenivas Mamilla. Mehreen is playing the second female lead role while Harshavardhan Rane and Bollywood actor Neil Nitin Mukesh will be seen in important roles. The shooting of ‘Kavacham’ has been wrapped up. Music is being composed by SS Thaman while Chota K Naidu is handling the cinematography.